Forum - How to mount xbian partition on ubuntu? 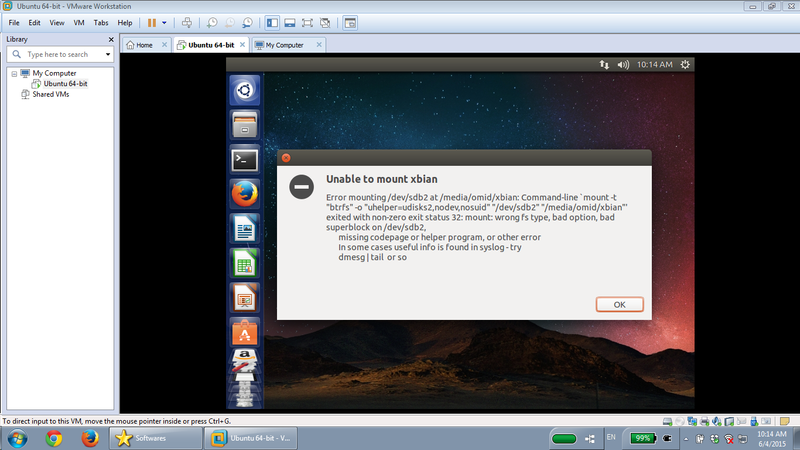 Forum > Software > Configuration > How to mount xbian partition on ubuntu? Full Version: How to mount xbian partition on ubuntu? I want to edit the files in my SD card using my computer, whether on Windows 7 or Ubuntu 14.04. Now what should I do to access the contents of xbian partition on SD card!? P.S. The reason I want to have access to the contents of my SD card using PC is that my xbian has frozen (black screen on boot) and I don't have backup of my files!! P.P.S. Can I ssh into a frozen xbian using PuTTY? If yes, what is the default IP address!!!? I recently installed Xbian on my RPi B+. I wanted to have access to the contents of my SD card in my PC, using Ubuntu. I searched on the net, and realized that its file system type is BTRFS, and it has LZ4 compression. How can we have access to the contents of this SD card, using a PC/Laptop!? XBian uses a compressed version of BTRFS that can't be mounted in a standard linux distribution. 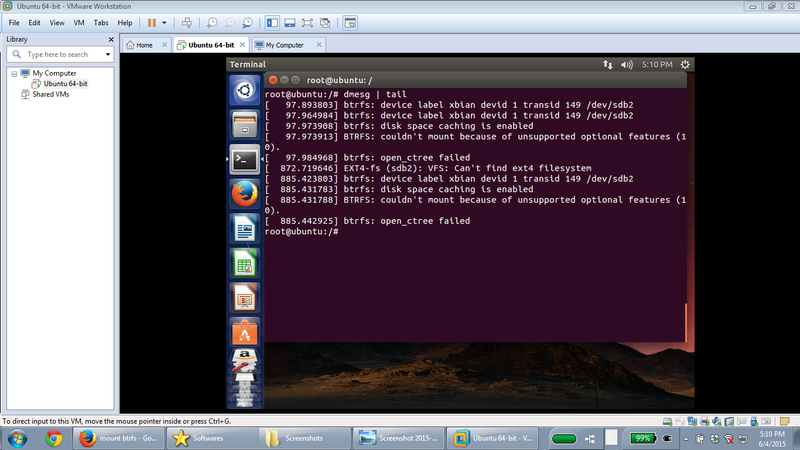 (15th Jun, 2015 02:42 PM)f1vefour Wrote: [ -> ] XBian uses a compressed version of BTRFS that can't be mounted in a standard linux distribution. What do you mean with 'standard linux distribution'? Does it requires some special packages - like btrfs-tools? I also need to mount it. Because I changed some config files and now I can't connect to xbian using SSH. Do you can provide some more information on this topic, please? at first i had exactly the same issue. because there's only one file: /dev/mapper/control, no other /dev/mapper/* files there. Patch the kernel for lz4 btrfs compression is the only way.